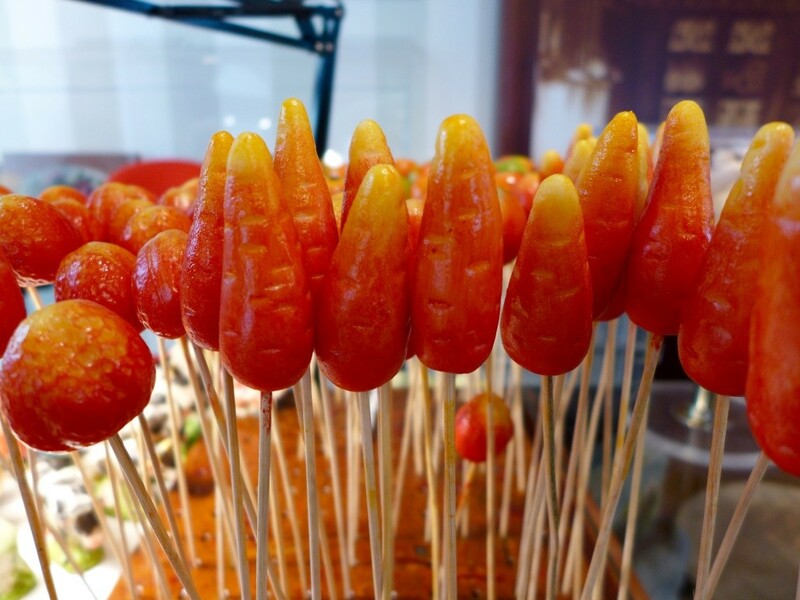 Marzipan is one of the oldest sweets made in Estonia, first used as a medicine as it was thought to have healing properties and was sold in the Town Hall Pharmacy of Tallinn. 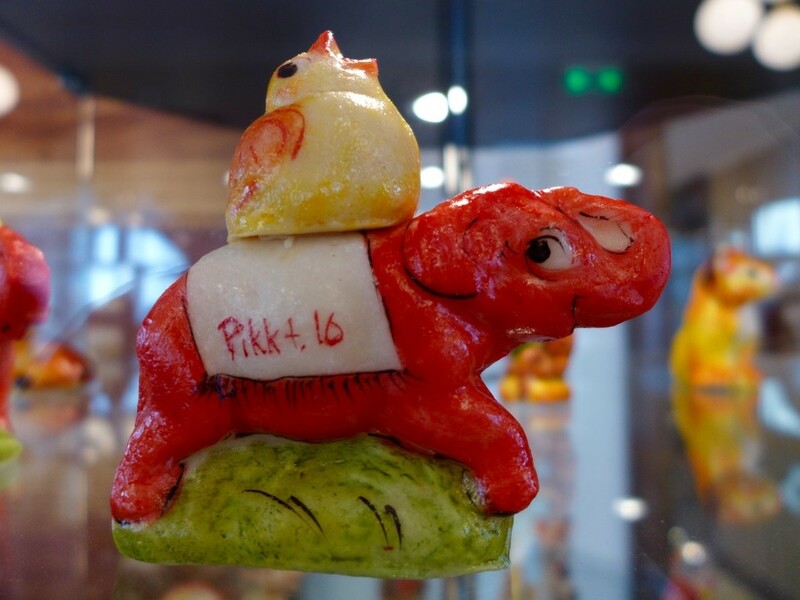 There are still six marzipan painters left in Estonia. For the last 10 years, one of the first things customers have seen when they entered the Maiasmokk Cafe on Pikk Street, in the Estonian capital of Tallinn, will have been painter Külli Mihkla. 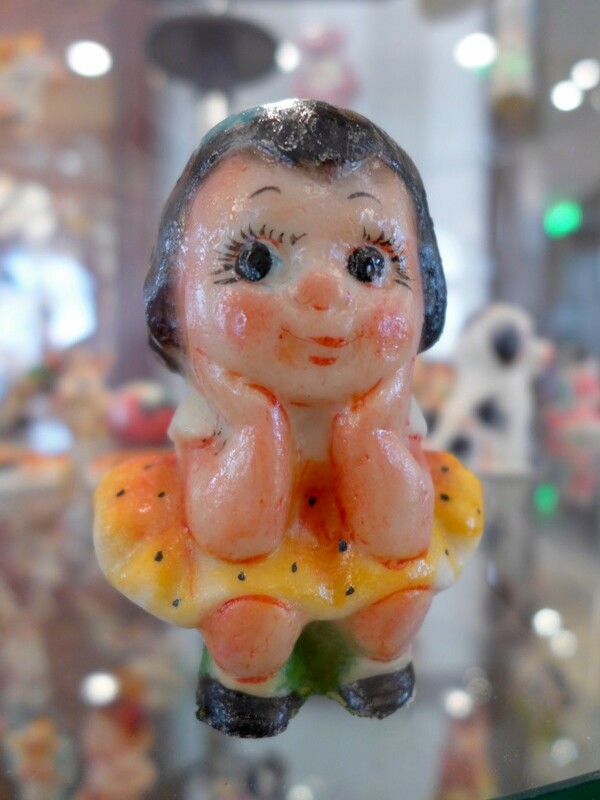 As they peer into the glass cases of marzipan figurines or buy the brightly coloured almond paste models of cows, dinosaurs and happy couples, if they hadn’t seen her doing it, they wouldn’t believe the confectionery in their hands or on their plates was handmade. 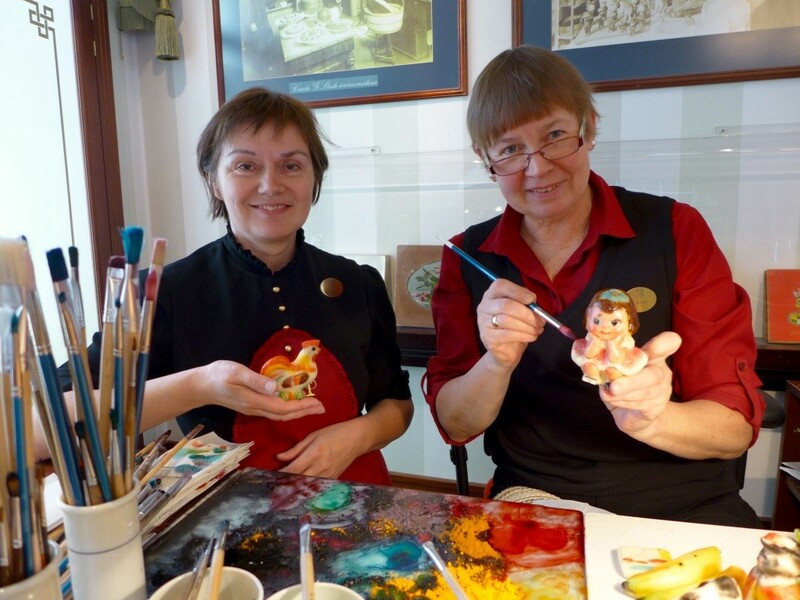 Because sitting in the sun-lit corner, painting figurines day-after-day, she is one of only six marzipan painters left in Estonia. Painting marzipan by hand is a tradition that has long since died out in other parts of the Europe, says Kalev researcher Otto Kubo, and now, machine-made mass production is a cheaper and easier option. But Kalev, the Estonian chocolate factory, tracing its origins back two hundred years, still employs three painters who sit behind a glass screen in the corner of the Marzipan Museum room, talking to tourists who come to ask questions about their work. 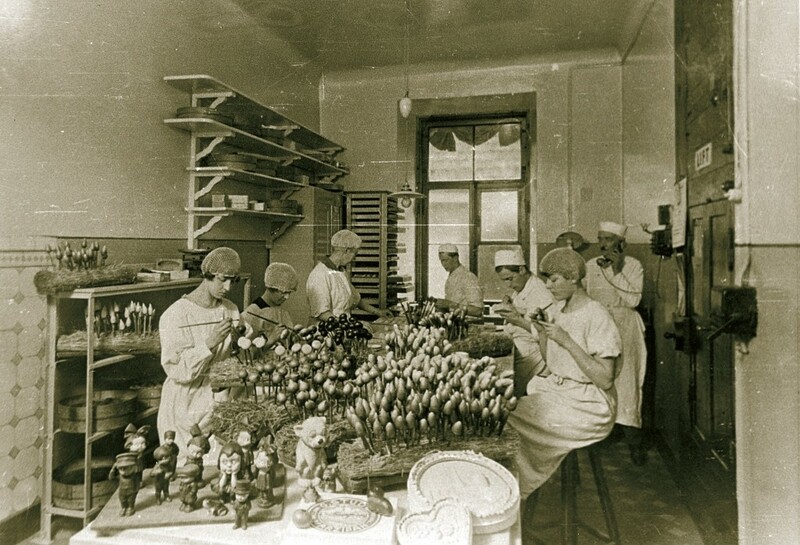 All the company’s marzipan is handmade and the factory used to employ a team of painters, as they supplied it all over the Soviet Union when Estonia was occupied. But now the company only produces enough for the Estonian market and it employs three in its shop in the Rotermann Quarter and three in Maiasmokk Cafe in the Old Town. 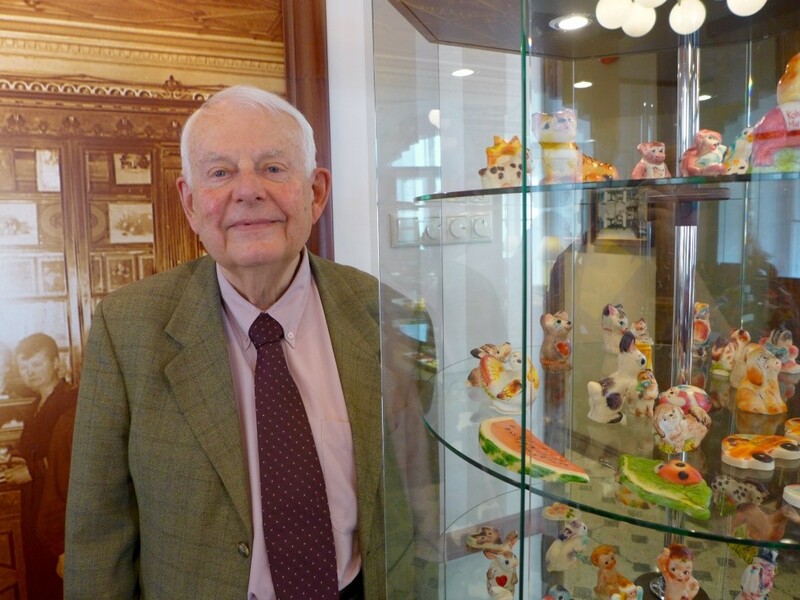 Kubo, who has worked at Kalev for almost 60 years, gave Estonian World a tour of the museum and said: “People like to see them. They are part of the tradition.” He thinks they are probably some of the last marzipan painters in Europe. Each figure is made of ground almonds, glucose syrup and sugar, a dollop of paste is then turned into a model using moulds from the early 20th century and then left to harden for up to two weeks. 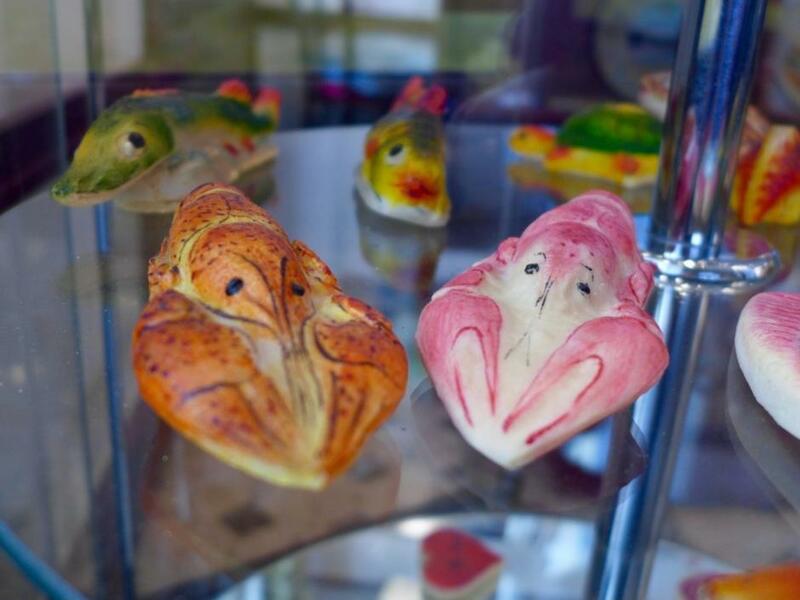 Rabbits, eggs, chickens, lobsters, cows, lambs and many other animals can be seen in the display cases in the small museum dedicated to the history of the sweet treat. Depending on the complexity of the design, each figure can take between five minutes to six hours to paint, using natural paints made from vegetables. Külli Mihkla and her colleagues at the museum, Heli Erdel and Ingrid Karin, spend hours applying a brush-stroke after a brush-stroke to create the desired colour. Mihkla, 61, has worked at the chocolate factory for 20 years. She first worked as a graphic artist, creating packaging designs, before becoming an installation herself in the museum three days a week. Marzipan is one of the oldest sweets made in Estonia, and it was first used as a medicine as it was thought it have healing properties and was sold in the Town Hall Pharmacy of Tallinn. As the legend has it, the sweet was invented by a man who worked at the pharmacy. However, the city of Lübeck in Germany also claims to have invented the treat.